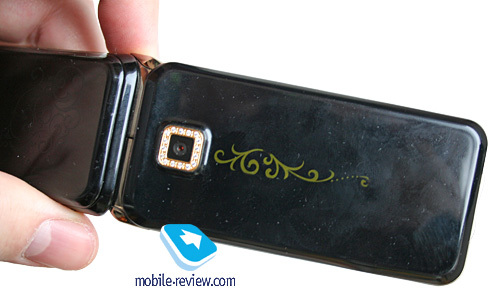 Just like all phones in the La’Fleur 2 line, the L310 targets women as its one and only audience. 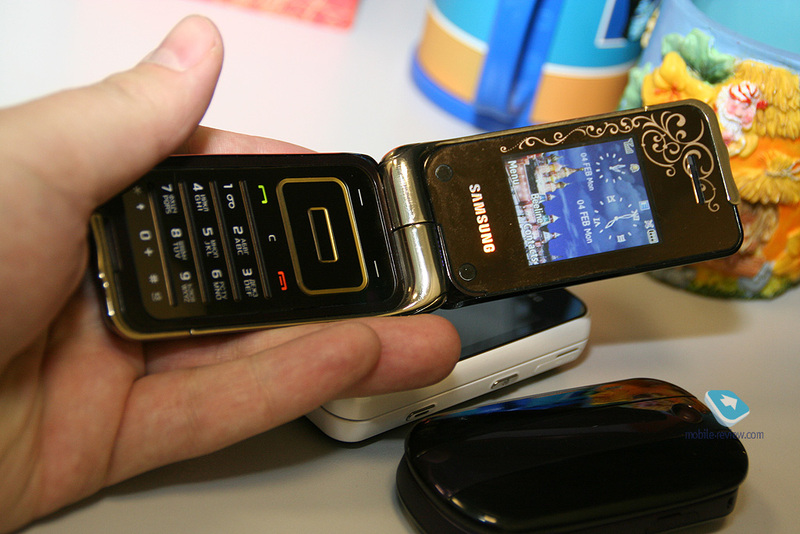 It has no prototype, nor does it draw inspiration from anywhere in Samsung’s portfolio – it was rather brought about by Nokia’s L’Amour Collection in the first place. 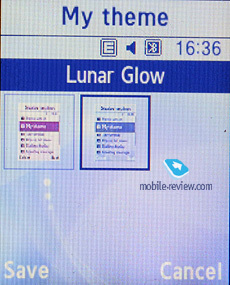 The reason being that not only does its design look somewhat resembling, the concepts and patterns employed in the L310 are similar to those used in Nokia’s phones, plus the Nokia fashion collection’s trademark dark brow and gold accents are in the L310’s style book too. 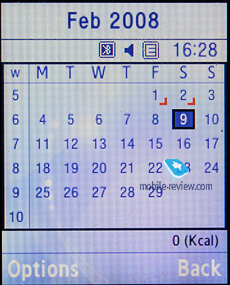 However it would be impossible to accuse Samsung of rolling out a copycat, and in fact the L310 is not one. 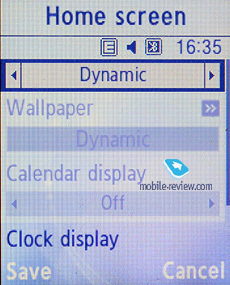 Resembling styles are not a taboo, what is more, even during a thorough inspection of both devices you won’t come across any elements or parts that have been blatantly carried over to the Samsung’s device. 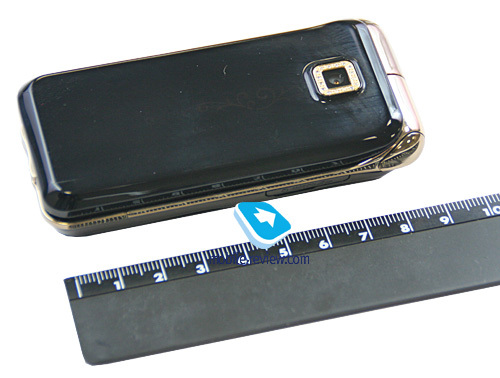 So that’s pretty much all about the “is Samsung L310 identical to Nokia’s L’Amour?” case – thankfully, they look somewhat similar only flip-open, however not even the greatest faultfinder and copycat-detector around won't be able to critique the L310 for adopting some design elements. 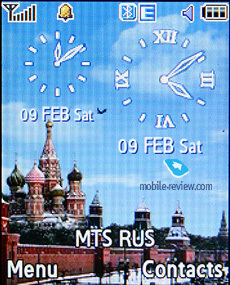 The very launch of the La’Fleur collection was a reaction to Nokia’s initiatives, what is more, the products constituting the original line-up were pretty much scattered across the market and came together in one range only on the Russian market. 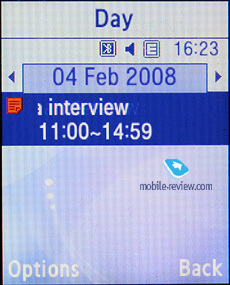 This series had generated some hype, so the second collection was designed with this experience in mind, giving us every right to assume that all members of the new line-up would come with “L” in their indexes, however the La’Fleur 2 hasn’t been able to avoid a white crow – the Samsung F250, a last-minute addition to the roster, in effect comes in two editions – music minded and “feminine”. 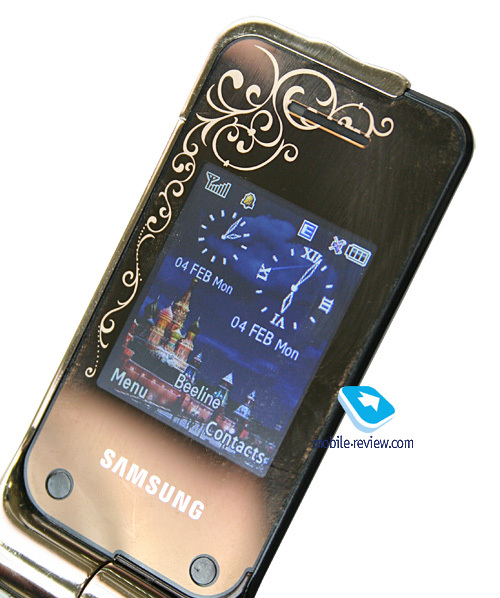 The Samsung L310’s primary goal is to be a solution for women with good taste, a sort of a design statement. 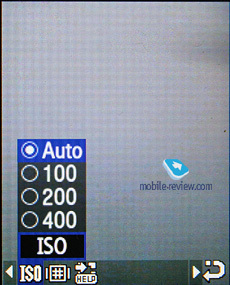 But that’s what they have on paper, whereas in practice the L310 is more of a kitsch than a well-rounded offering. 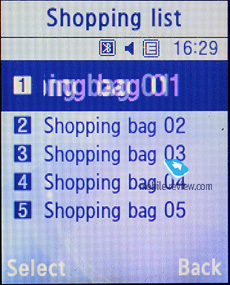 The most essential part of a feminine handset is design, but the L310 turns out to be a mixed bag in this department. 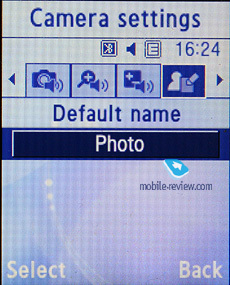 The mirrorish front grabs your eyes outright, but it would be so much less gaudy and bizarre if they didn’t carry over the strasses around the camera window from the Samsung T500. 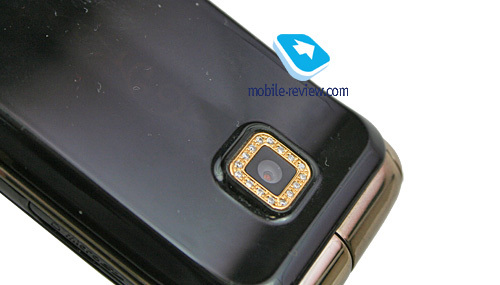 The decision to add this, undoubtedly, “luxurious” part on a gold underlay, paint both the hinge and the middle part the folder in a similar color was a little bit of an overkill. 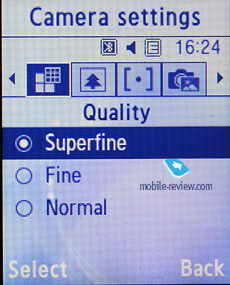 So this phone is pretty much in keeping with the mindset of those people with no sense or notions of design whatsoever, going only for “rich-looking” shiny thingies. 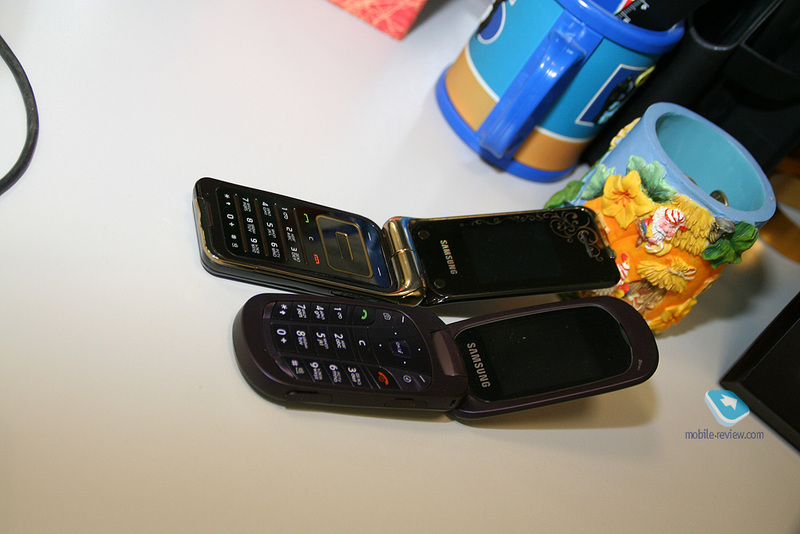 It is easy for me to imagine a huckster with the L310 (that’s more of an archetype – I by no means want to hucksters), but I have a hard time thinking of an ordinary girl carrying this handset in her purse. 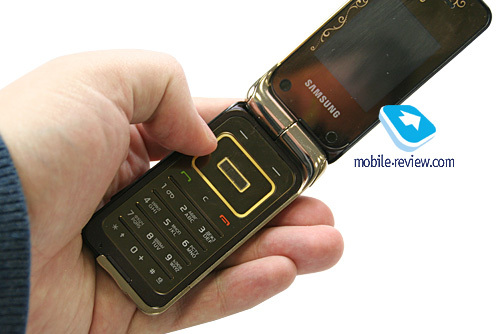 The design is actually the root of all other evils as far the as the L310 is concerned – basically, no matter what kind of punch they put in it, its somewhat bizarre looks will put consumers off. 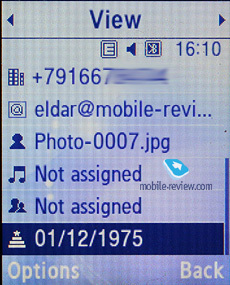 However, the L310’s software matches its style, for that matter, or, to be precise, it is somewhat dated by contemporary standards. 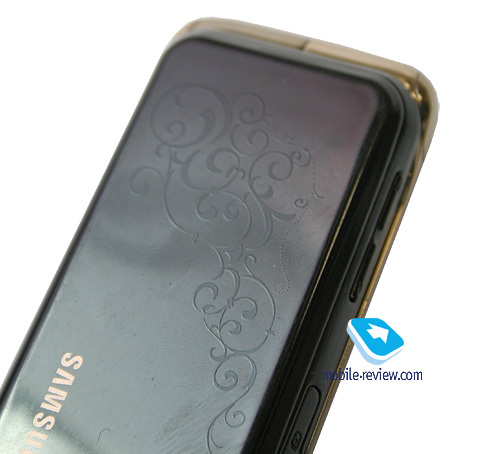 The rear plate houses a fancy pattern that blends with the casing, although it is easy to spot in bright light. 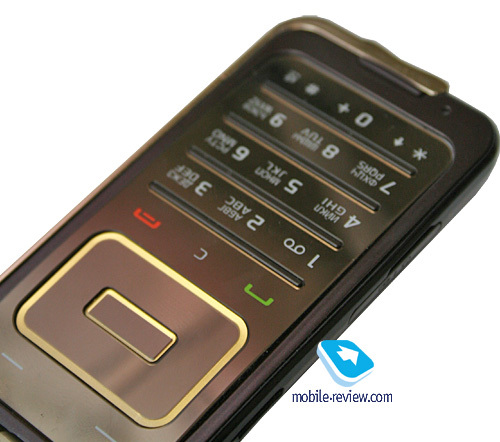 The L310 has no external display; sitting on its place is a glowing patterned strip that springs into life whenever you flip the phone open. 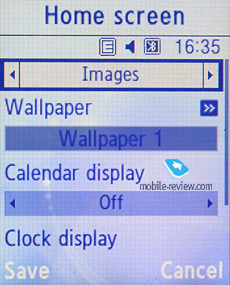 However, it hardly does anything more than that; a real outer display would’ve been so much more welcome. 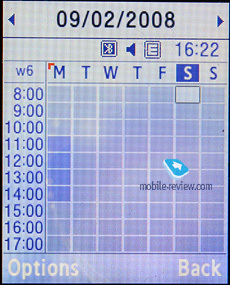 Another drawback to this strip is that when the L310 is open it never goes off. 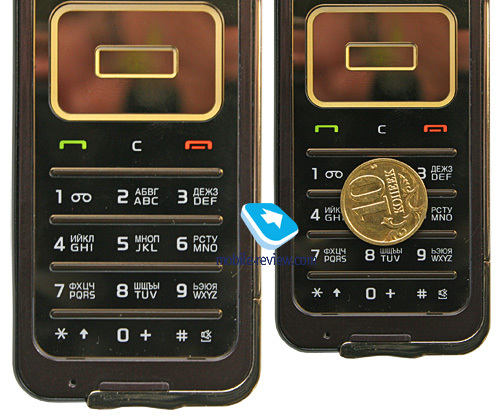 The handset measures up at 93.6x44x17.9 mm and tips our scales at 98 grams. 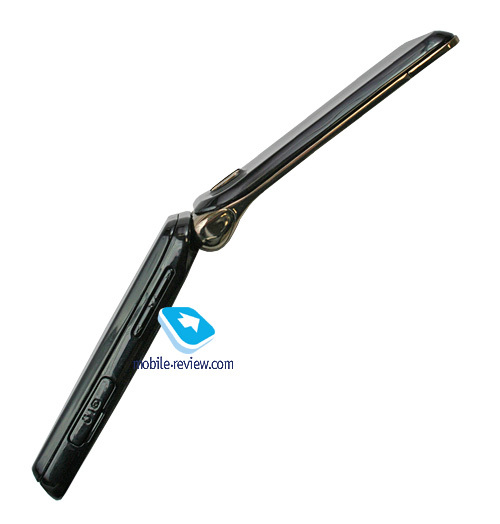 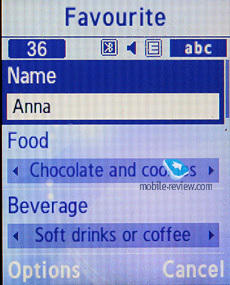 It is little to no different from most other folder-type handsets, meaning that women won’t have any hardships with it. 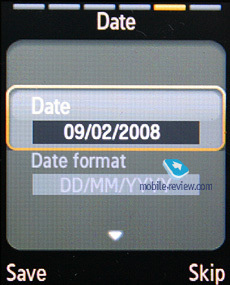 On the downside, there is no wrist strap eyelet, which is something we didn’t expect Samsung to omit. 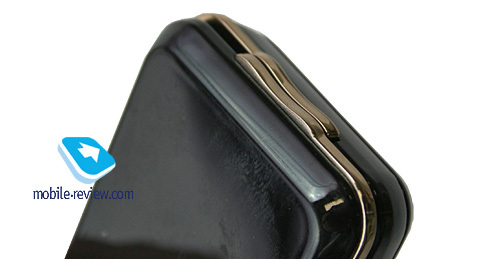 The left-hand side features the volume rocker along with the interface connector (works for headsets too), covered with a plastic flap. 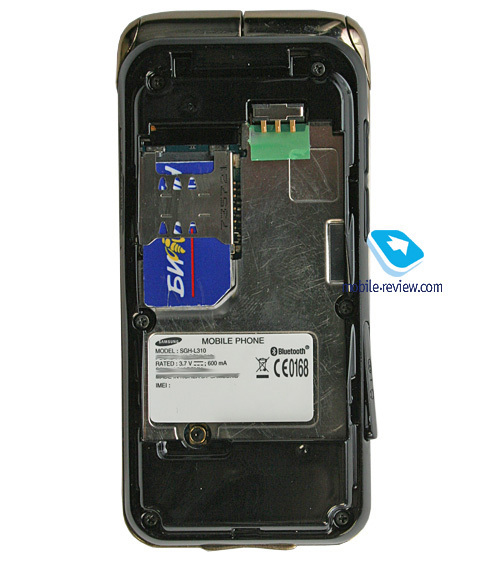 Perched on the opposite side is the microSD memory card slot. 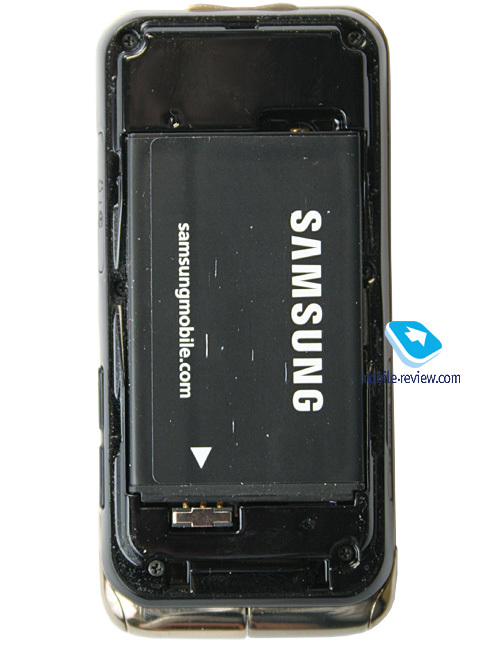 The L310 can be easily opened with single-handedly. 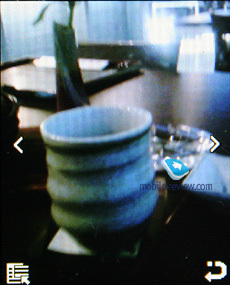 Its build quality was never an issue either – we spotted no creaking parts or loose-fitting details. 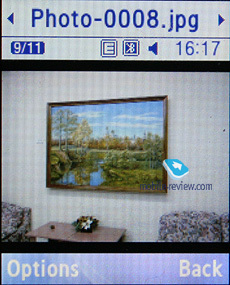 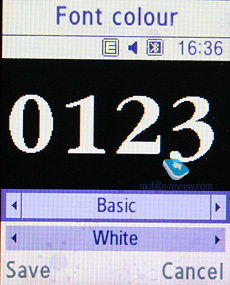 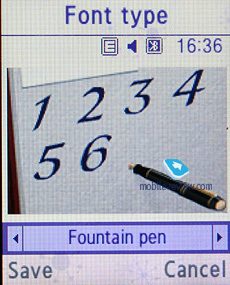 The internal display sports a diagonal of 1.8 inches and a resolution of 176x220 pixels (TFT, 262K). 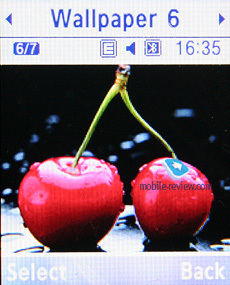 Resolution-wise, it belongs to the previous generation and is obviously behind the competition. 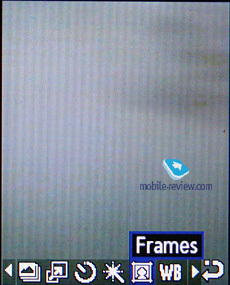 While its picture is quite good (bright and crisp), it still falls short of other offerings featuring bigger displays with better resolutions. 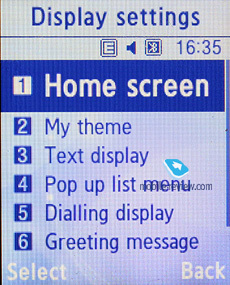 The screen can accommodate up to 7 text and 3 service lines. 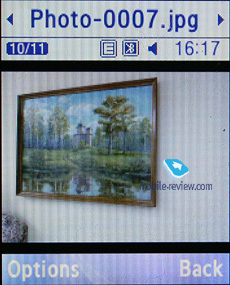 It remains readable in the sun, although it gets washed out a little. 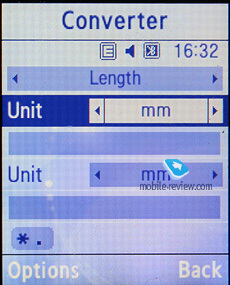 For comparison’s sake, the Samsung L320’s display has exactly the same specs, yet a slightly bigger diagonal at 1.9 inches. 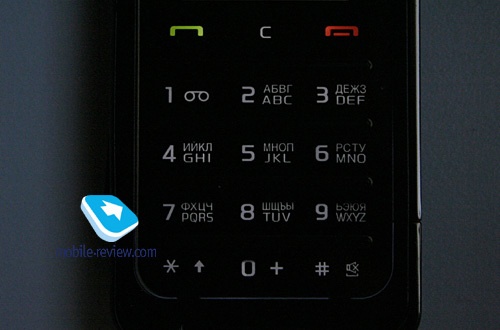 The L310 employs a single-slab keypad with all buttons separated by horizontal dents. 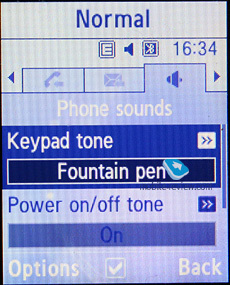 Its keys have marginal travel distance, but all in all it is quite usable with slightly-better-than-average ergonomics. 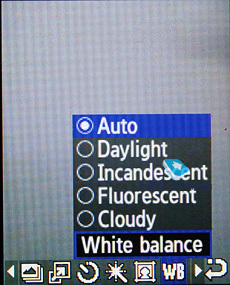 All keys are lit in well-visible white. 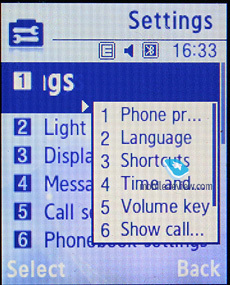 The handset utilizes a 800 mAh Li-Ion battery, rated for 220 hours of standby and 2 hours of talk time. 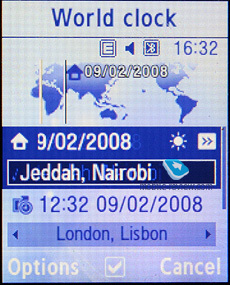 Within European networks the L310 lasted around 2.5 days with a hour of calls, and up to 10 SMS total. 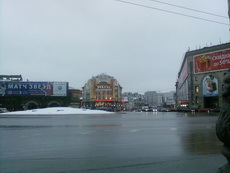 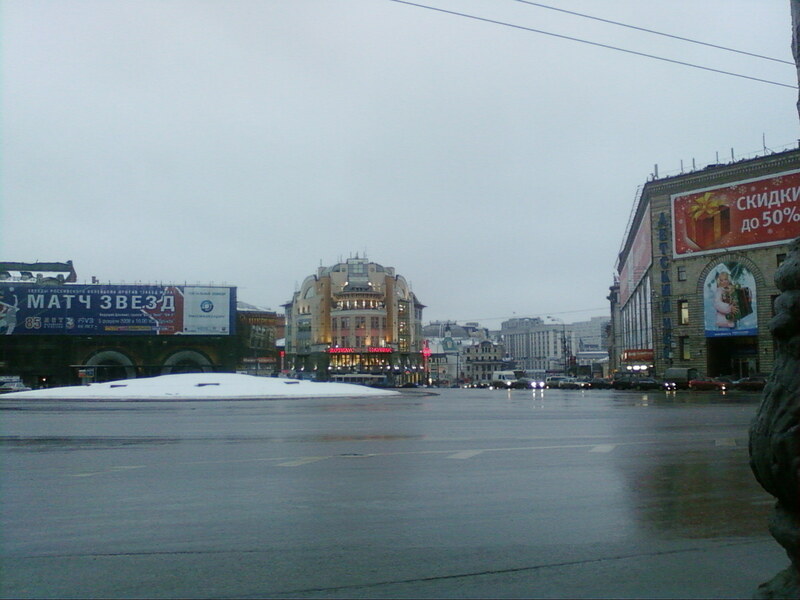 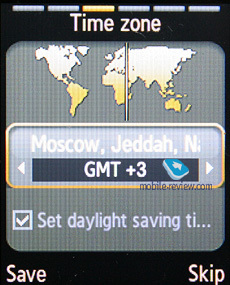 At the same time, we could squeeze only around 1.5 days out of it in Moscow in the same usage mode. 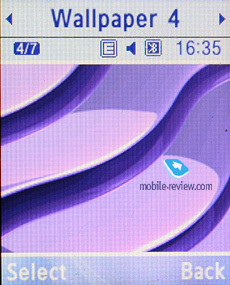 Design aside, the L310’s battery was the most disappointing thing about this phone. 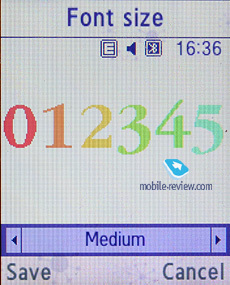 We even thought that it was a glitch of our particular unit, so we grabbed another one and found that it fared no better. 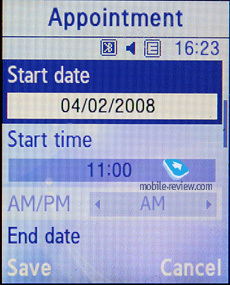 It could give us only a day of battery life, two at best when we were easy on it. 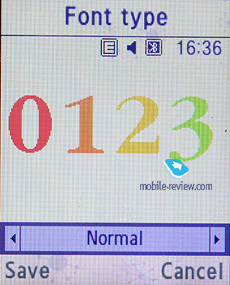 We can’t find a credible explanation for this fact, however – maybe it is the pattern on the outside that drains the battery in no time, or probably it is the L310’s poor hardware design to blame. 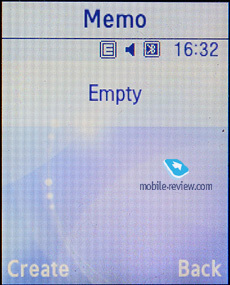 It takes the L310 around 1.5 hours to charge from empty to full; no high-capacity cells are available for this phone. 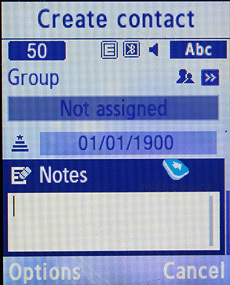 USB-connection. 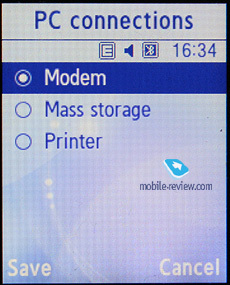 In the menu you may select one of three modes: Modem, Mass Storage, Image Print. 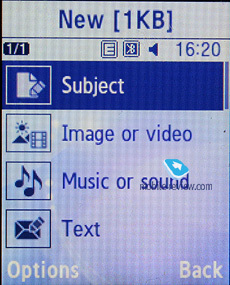 While in the USB Mass Storage mode, the L310 shows up on the desktop without requiring you to install any additional drivers, so right after plugging in it’s ready to work. 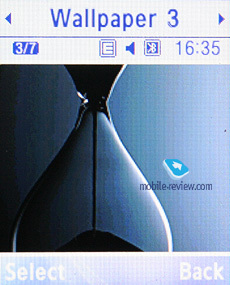 Data connection speeds top out at 950 Kb/s. 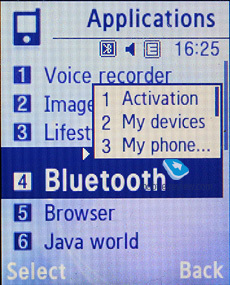 You won’t be able to use the L310’s Bluetooth connectivity along with USB – it will require you to disable Bluetooth regardless of its status (connected and transferring data or not), which is very awkward. 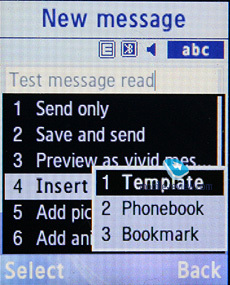 When connected to a PC via USB, the L310 automatically recharges itself. 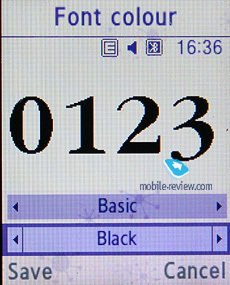 For GSM networks, the L310 comes with EDGE class 10 data. 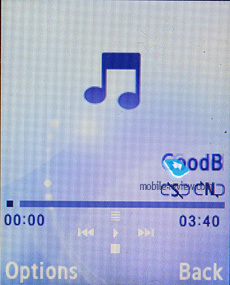 The phone ships with 31.5 Mb of onboard memory – this storage space, give or take, is available to the user right out of the box. 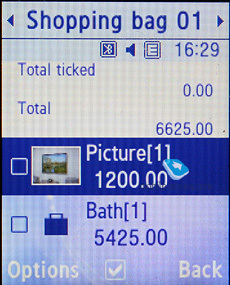 The memory card (hot-swappable) is displayed as a separate section, so you can’t access both memory types at a time. 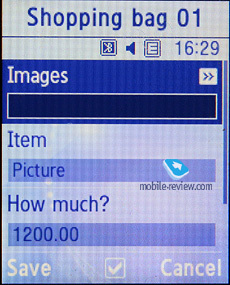 The L310 also comes with a file manager, enabling you to copy files to/from the memory card. 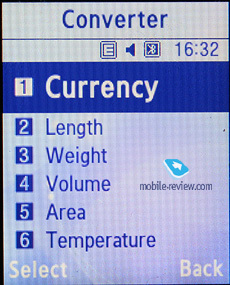 In our test the handset had no problems handling a 2 Gb microSD memory card, whereas a 4 Gb unit remained unidentified. 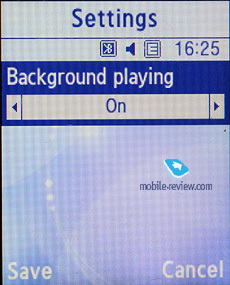 The L310’s performance is very typical for the previous generation of Samsung’s phones, although for a product of this type it is nothing out of the ordinary. 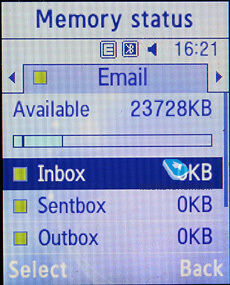 New applications can be uploaded only over the air (Wap); Java-apps are limited in size to 300 Kb. 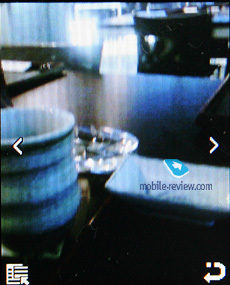 Compared to the Samsung L320, this phone is a worse performer on this front; what is more, it lacks support for some JSR. 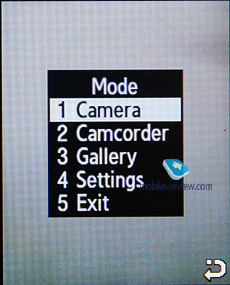 There are also four quality settings (JPEG), as well as the night mode, white balance, shutter sound on/off options, self-timer (3, 5 and 10 seconds), and an array of effects (Black&White, Negative, Sepia, Antique, Moonlight). 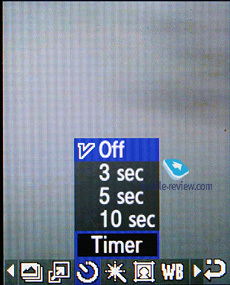 You can also opt to shoot a series of 6 or 15 images in a rapid succession (at an adjustable interval). 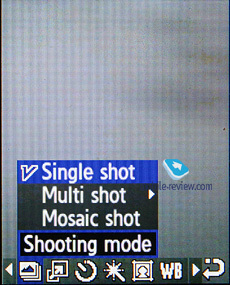 Plus the L310 sports the mosaic mode and an assortment of frames for your snaps. 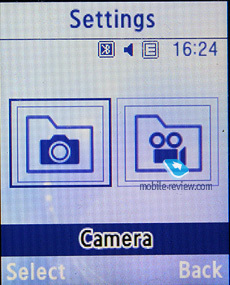 Video can be recorded in one of the following resolutions: 176x144, 160x120 and 128x96 pixels, on top of that you can enable the MMS mode which will cap the clip’s size. 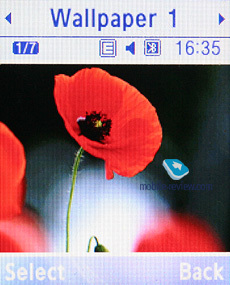 The quality of the L310’s videos is quite meager, and definitely pales in compassion with contemporary solutions, where the resolutions of 240x320 pixels or even VGA are not all that rare. 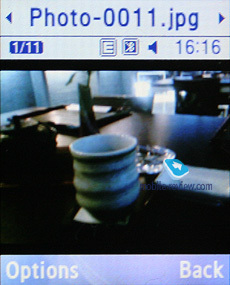 Video clips may be edited with help of the same set of effects and quality settings as those used for still images. 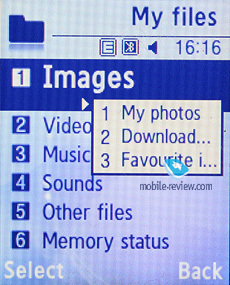 The main menu is viewed as a grid (3x4). 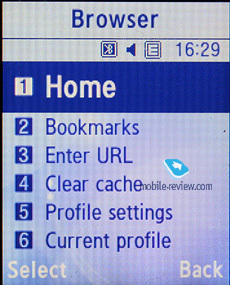 All sub-menus have horizontal lists - in the case of there being a sub-menu, you will see a pop-up list on the right of the highlighted item. 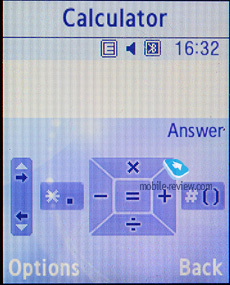 You see which items are stored underneath, and once you press OK button, you will get there. 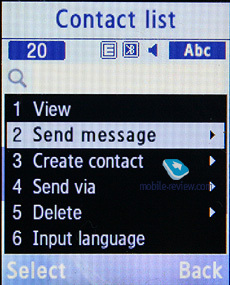 When you lean the navigation key either left or right, you will be able to access the corresponding item immediately. 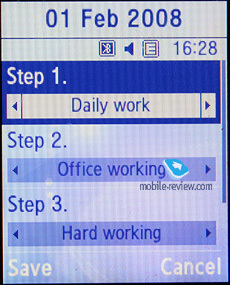 Ergonomics of such solution is unquestionable, as you will have to make at least one key-press less. 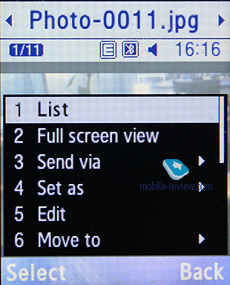 Also you can disable this view mode, so then the L310’s menu becomes just like any other menu system. 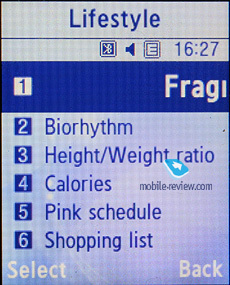 While surfing the menus you can take advantage of last item memorization in every sub-menu and the main menu. 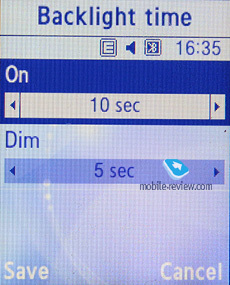 The Handset will “remember” which function you addressed last time, and will highlight it automatically next time you enter the same menu item. 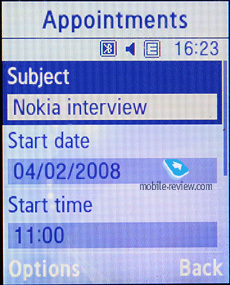 For example, if you had selected call list in main menu and done some operations in it, then the next time you enter main menu you will have it highlighted in first place. 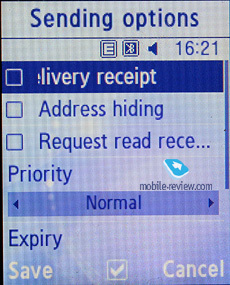 But that’s not all; once you access it again you will see that sub-menu item which was addressed last will be highlighted too. 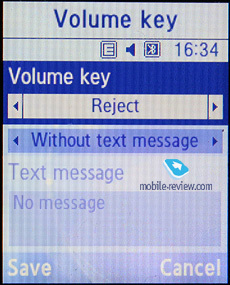 It seems to be a simple thing, but it is not present in handsets produced by any other manufacturer. 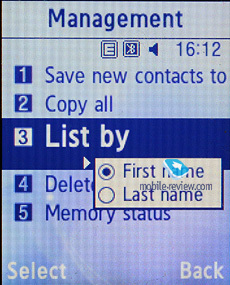 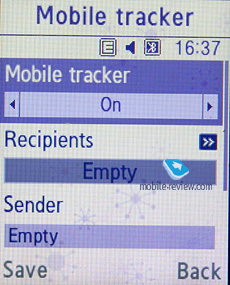 Shortcut number navigation is supported, but there are more ways to navigate the menu available in the L310. 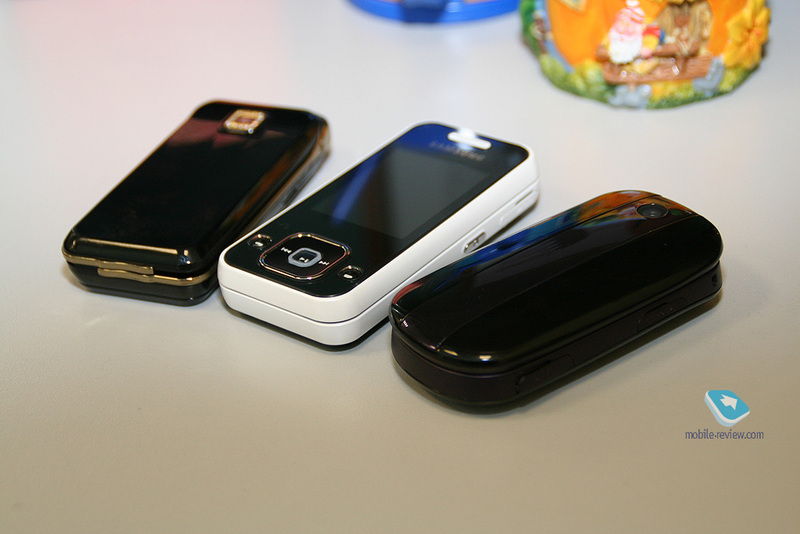 You can bind three different applications from the list, offered by manufacturer (you will not be able to bind java applications). 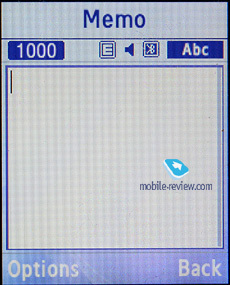 There is no quick launch menu available in the L310 (uMenu). 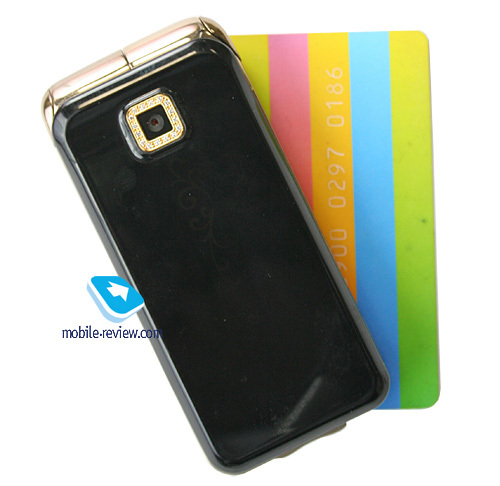 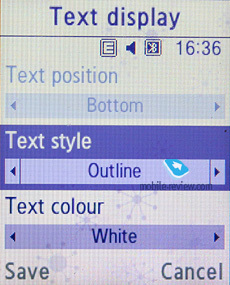 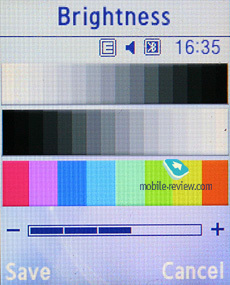 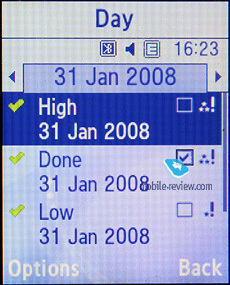 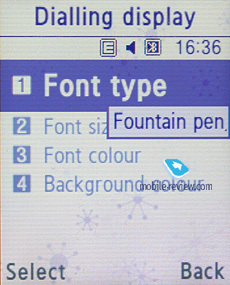 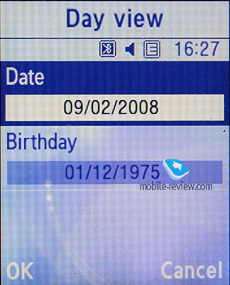 There are two themes available with the L310, though they are not what they used to be in the previous solutions or even in the Samsung L320 – they basically allow the user to adjust a list of options apart from the menu and window color. 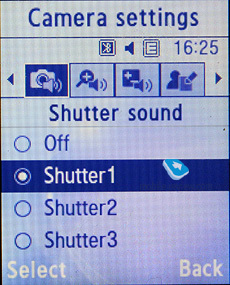 The process entering menu items is accompanied by animation – there are two effects at your disposal that can be setup in the menu. 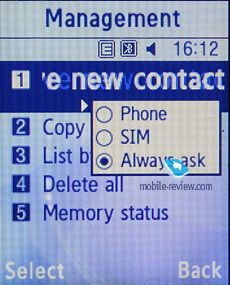 Contacts can be accessed by pressing right soft key; you will see a list that contains all entries from both SIM-card and phone’s memory (you can opt to view them separately, though). 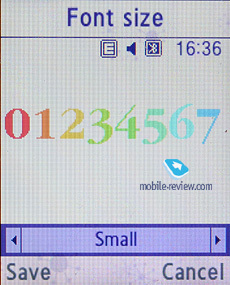 The field beneath the name is the default number, which can be picked manually from the list of submitted numbers for a particular contact. 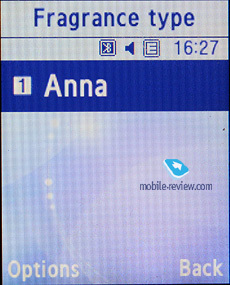 Quick name search by first letters is supported; there can be up to twenty of those, for any language. 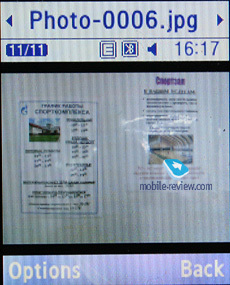 Once you press OK key you will go into detailed view of the selected entry. 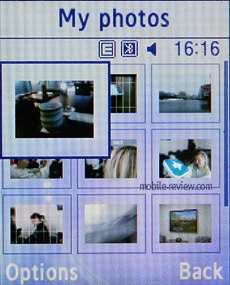 There you will see a thumbnail, if any. 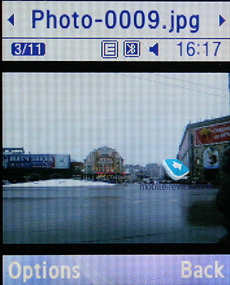 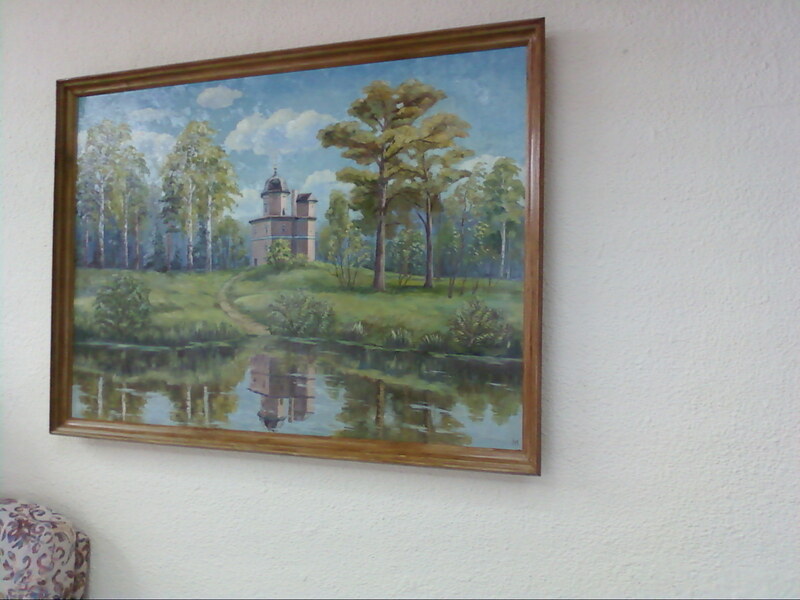 It can be an image, a photo or a video clip. 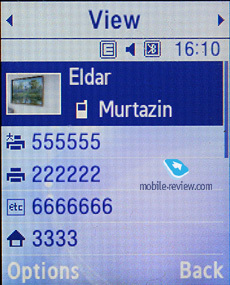 Each entry can have up to 5 phone numbers of different types (mobile, office, home, fax other), one of them will be main number (by default it is the first one you entered). All fields are hardwired. 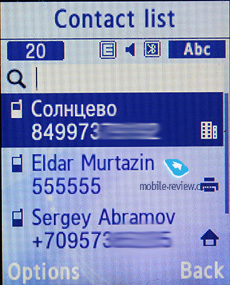 All entries, regardless of language, are sorted out in the following way – all contacts with headings made in a local language (Russian, for example) go first and then those with names in English. 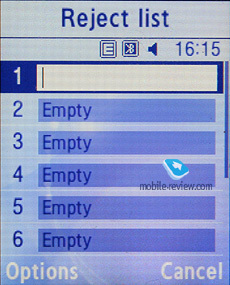 This is rather convenient and handy list sorting system. 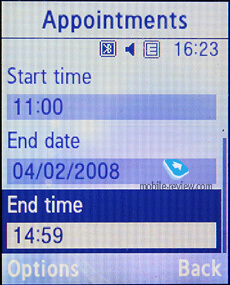 Taking into account fast language switch option during the search, it’s clear that no language will spoil the experience of working with this phone. 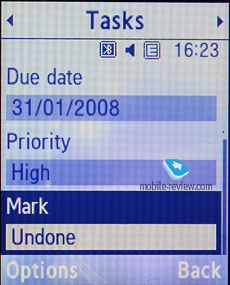 The list can also be sorted by first or last name. 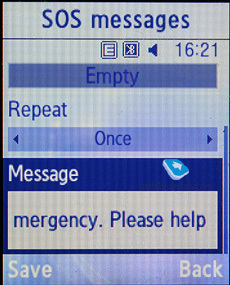 But let us return to the information entered for a contact. 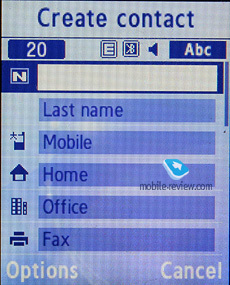 Apart from phone numbers, e-mail address, a little text memo can be submitted on top of all that. 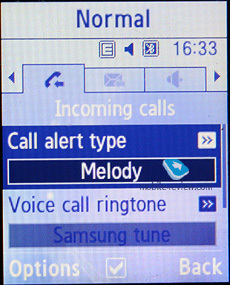 Any music file (including MP3) can be picked as a ring tone for a contact. 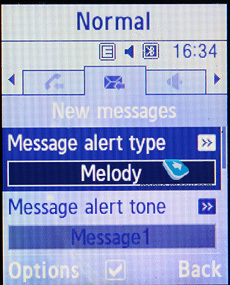 Three caller groups are provided by default with the possibility for creating any number of additional groups, setting a personal melody and image for each. 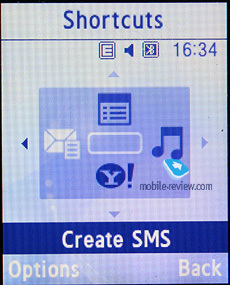 SMS alerts are not customizable. 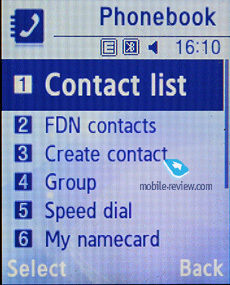 The phonebook is capable of holding up to 1000 contacts with filled in data fields. 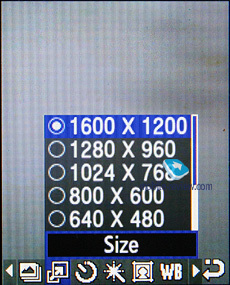 Even if all the available blanks are not used, the cap won’t get any bigger and will still make one thousand. 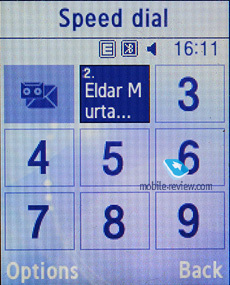 It is possible to specify in the settings where all new numbers should be kept by default. 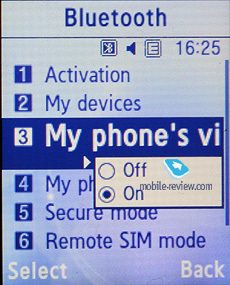 There is also an option for moving entries from the SIM-card, although the reverse action is denied. 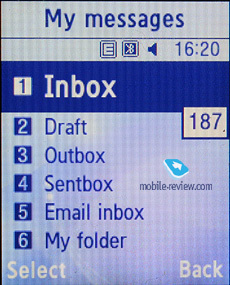 According to the developers, PC (MS Outlook in particular) is best for data synchronization with the L310. 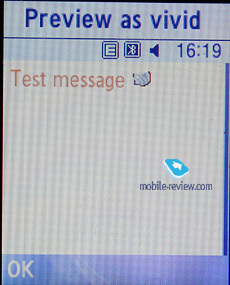 Any contact in the form of SMS/MMS, mail message or other text file can be quickly sent through Bluetooth to another device. 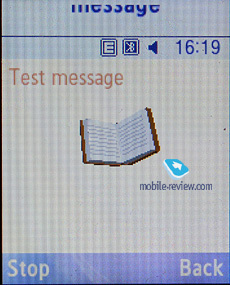 There are no problems with sending, and the phonebook entry gets beamed to another device, where it is read without any trouble. 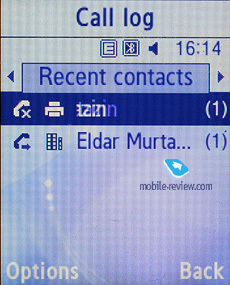 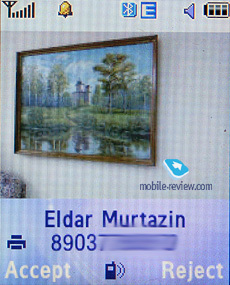 On an incoming call, caller ID picture occupies not the entire screen, but only a part of it. Each of the given lists contains up to 30 phone numbers. 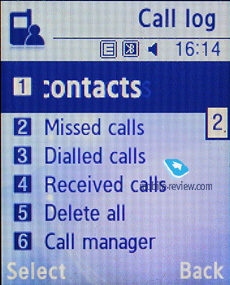 There is a combined list of all the last calls with an icon indicating call type. 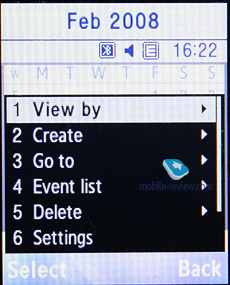 Pressing the navi-pad horizontally, you can switch quickly between the lists. 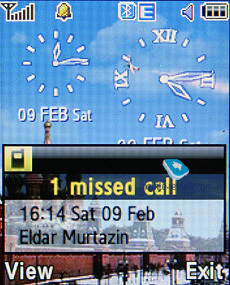 The date and time of the calls are displayed in the extended view for separate entries. 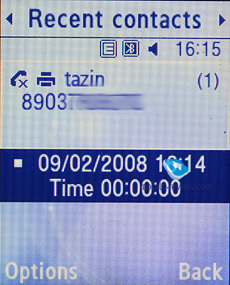 Calls from/to one number are grouped up, so that the number standing next to the call specifies total number of calls made. 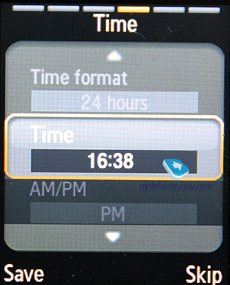 In order to access duration data you will need to call up detailed information on desired item. 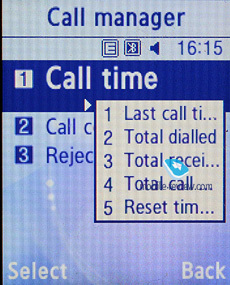 As always, the overall time of the calls and their cost can be viewed in this menu (in the case that the service has been enabled). 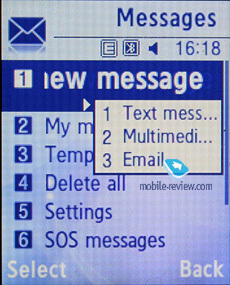 Unlike Samsung’s contemporary offerings, the L310 sticks to the old scheme with SMS and MMS messages divided into separate categories; its email client is nothing to write home about. 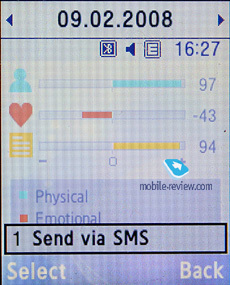 The phone memory can hold up to as many as 500 messages; the handset supports EMS standard compatible with Nokia Smart Messaging. 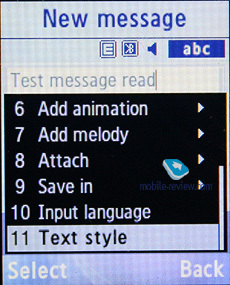 T9 text input comes in handy and is easy to use. 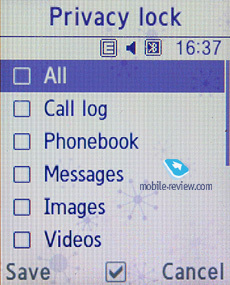 While choosing recipient, you can either select a telephone number from your contacts or pick one from the call lists or groups. 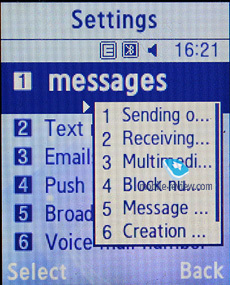 All messages are manageable, this means you are at liberty to move a certain number to your black list, in order to make sure all messages coming from that phone number will be deleted automatically; possibility for moving messages to any own folder is also at your disposal. 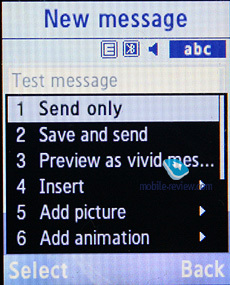 While previously the Vivid Message mode was a bit irritating since it kicked in for every message, now it is possible to disable it. 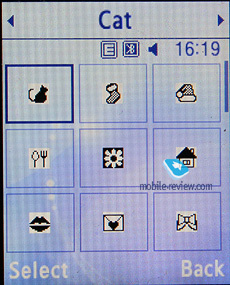 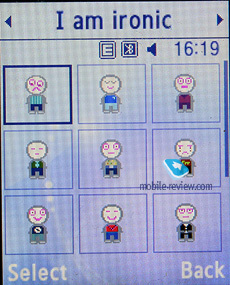 With this feat the handset converts frequently used words to graphics, for example having typed “Kiss you”, you will see lips, blowing kisses. 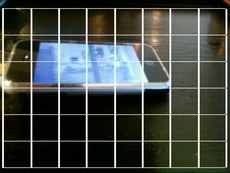 On the face of it, a simple algorithm that allows manifesting your imagination. 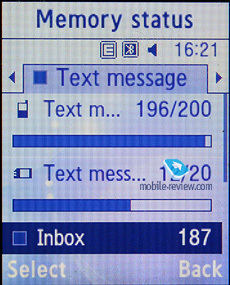 There are no size restrictions set on received messages, though an outgoing message’s size is limited to 295 KB. 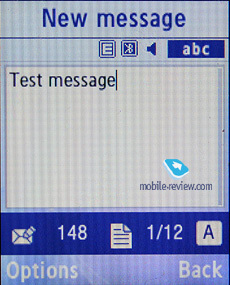 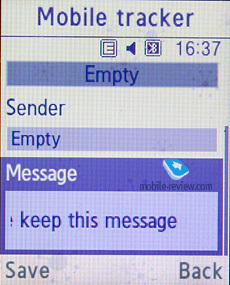 As for additional services available with the L310, message rejection and message retrieval type options are onboard. 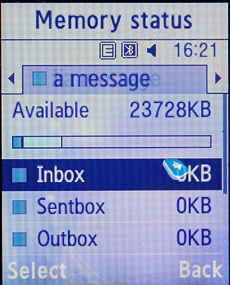 All messages are stored in general dynamic memory, the same goes for e-mails. 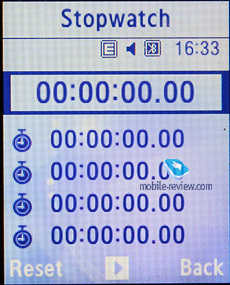 There can be up to 400 different events of four types (4x100) - meeting, task, anniversary and other. 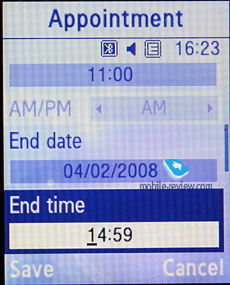 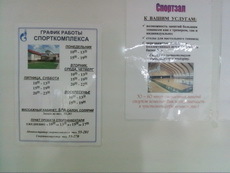 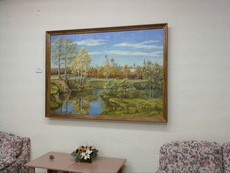 Day and time as well as end time of an event are indicated for each entry. 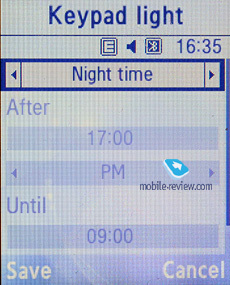 Alert signal and its duration can be adjusted to your liking; repeatable events are available for setting up (repeat time is also manageable as well as the exceptions). 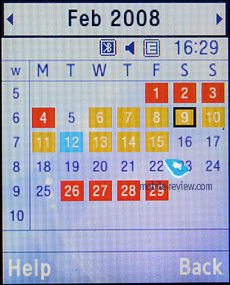 The weekly and the monthly calendar views are very convenient with each type of the event having its own color. 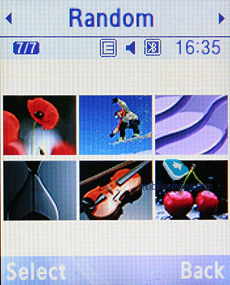 You can store up to 20 radio stations in the memory; the range of available frequencies is 87.5-108 MHz. 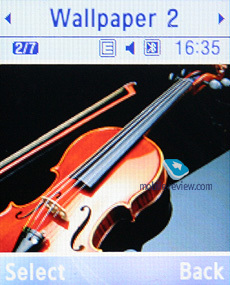 Also, you can enjoy auto-tuning, but particular channels cannot have own names attached – they are always shown as the frequency numbers. 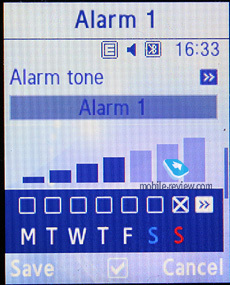 The radio can work in handsfree mode, plus it enables you to set it up as an alarm clock, but regardless of how you are going to use it, a plugged-in headset is a must, since it doubles as an antenna. 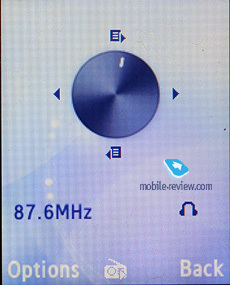 The radio implementation is fine, although it doesn’t pick up all stations equally well, but on balance, it is quite competent in comparison to other vendors’ offerings. 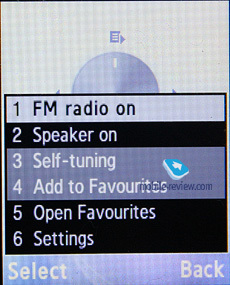 The radio can be minimized. 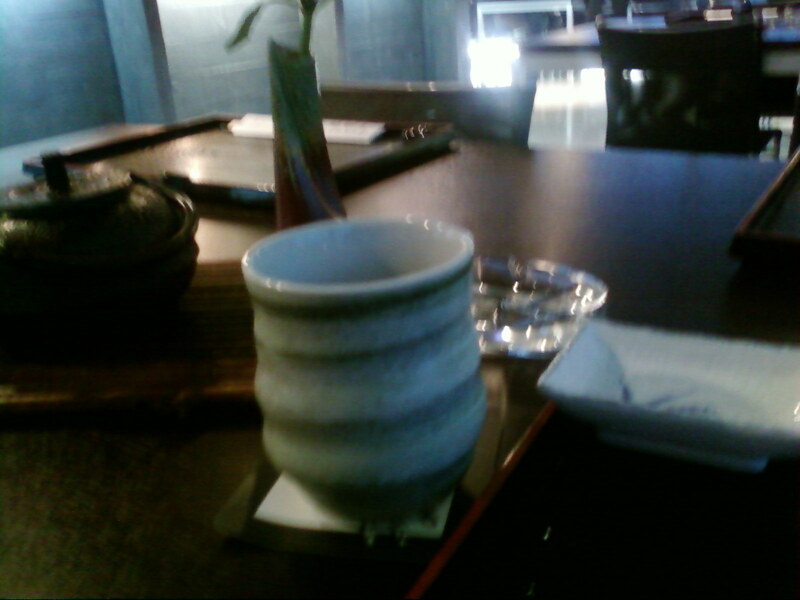 Java World. 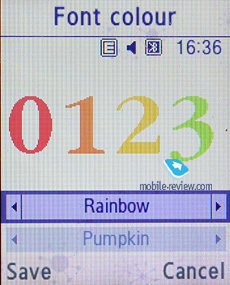 The handset comes pre-installed with 7 games, of which 3 are fully functional (Bobby Carrot, Airship Racing, Archangel), and four are demo-versions (limited by time or levels). 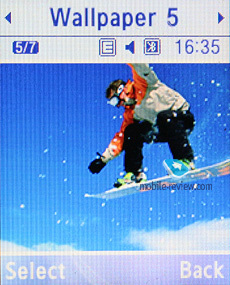 These demos are quite fetching, these can be Tetris Mania, Midnight Pool, Minigolf, Poker and so on. 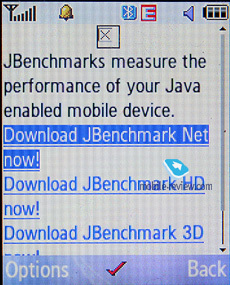 The memory volume assigned for Java-applications makes only 4 Mb, you can remove any of the pre-installed games at that, and upload new over the air (via WAP). 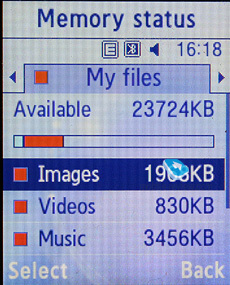 Heap size can’t exceed 2 Mb, while the application can’t go over 1 Mb. 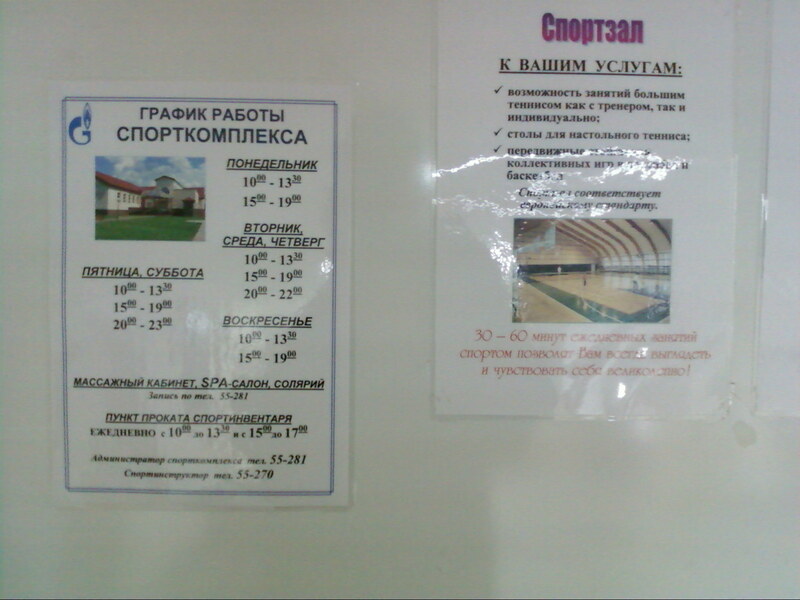 Life style. 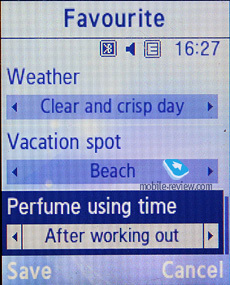 This suite of applications for women comprises of 6 items – the first one on the list is Fragrance type, which picks fragrances based on your tastes and preferences. 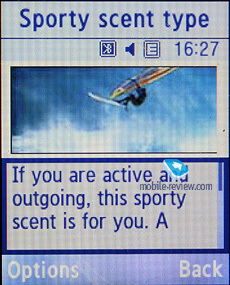 This could well be an interesting application, if only it provided specific recommendations for brands. 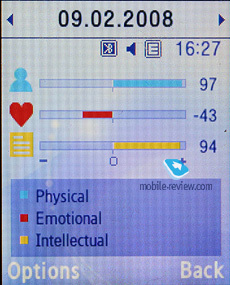 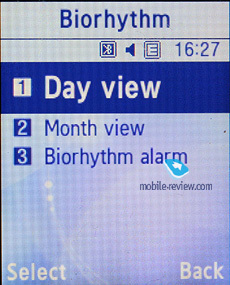 Biorhythm – you can opt for either the day or month view modes, as well as send your day’s data in an SMS. 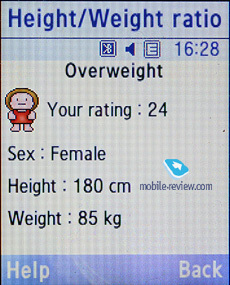 Height/weight ratio. 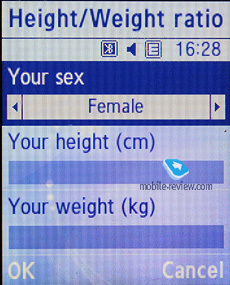 This feature shows whether you have extra pounds or not based on your height. 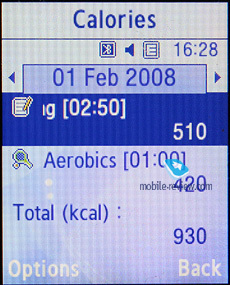 Calories – a calendar where you can take account of various types of your activities (from office working to making love), so the handset can automatically calculate how many calories you have burnt. 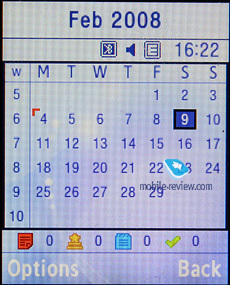 Pink schedule – self-explanatory calendar for periods. 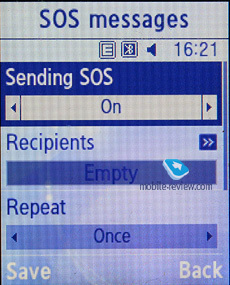 Yahoo Search. 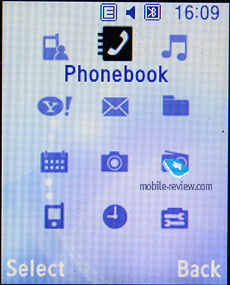 Access to Yahoo’s search engine, no bells and whistles here. 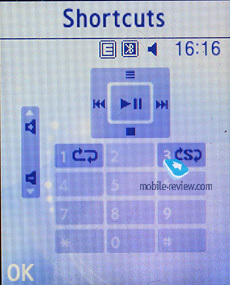 Your tracks can be played through the stereo headset as well as the speakerphone. 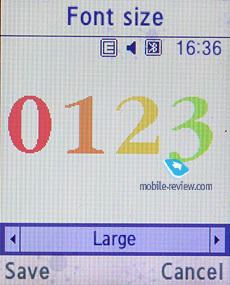 The volume bar has 10 scales on it. 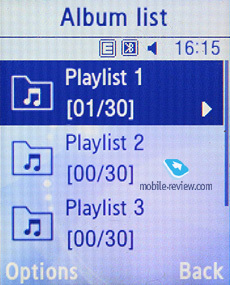 And of course the user can make up their own playlists. 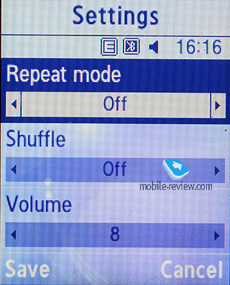 Player can work in minimized mode. 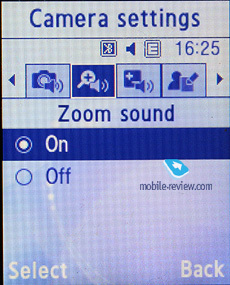 The bundled headset doesn’t have a jack for plugging in own earphones, yet provides quite adequate sonic experience. 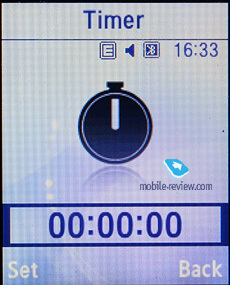 However, compared to Samsung’s current device generation, the L310’s audio performance is pretty lackluster. 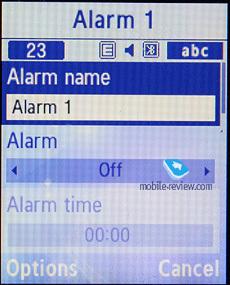 Alarm clock. 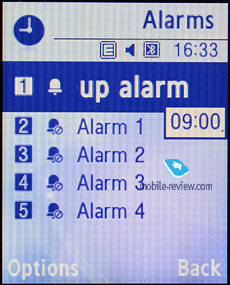 The handset comes equipped with four alarm clocks, each of them can go off on certain weekdays. 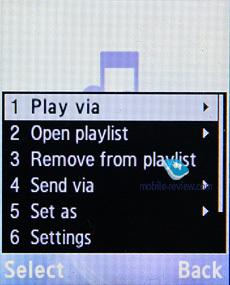 You can also pick one of the five tunes, or turn to MP3 tracks. 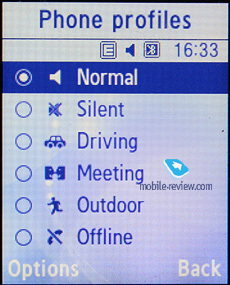 In settings it is possible to enable auto power-up when any event triggers. 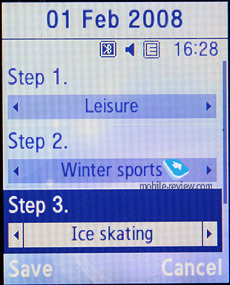 Settings. 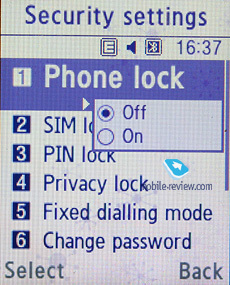 Traditionally this item boasts a standard set of options inside like password protection of selected sections (messages, short messages, organizer, etc. 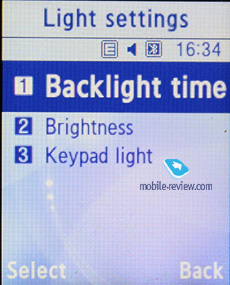 ), backlighting duration and brightness, dialing display settings. 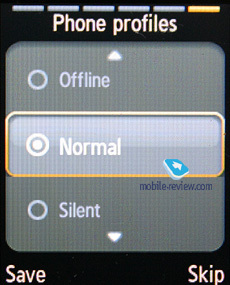 Profiles – this menu allows the user to setup all sound notifications and alerts of the L310 and pick the most relevant profile for current situation. 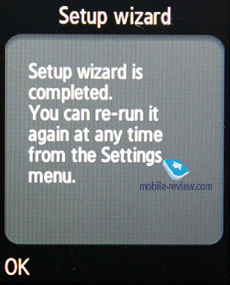 Setup wizard – allows adjust and tuning the handset’s main options upon startup (date, time, theme etc), though it is readily available from the settings menu. 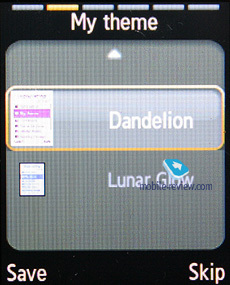 Apart from standard wallpapers for the standby mode, you can opt for a slideshow composed of the preinstalled pictures that will pop up in random order. 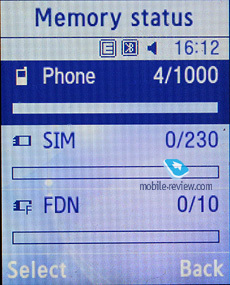 The reception quality put up by the L310 is in line with other Samsung-branded devices. 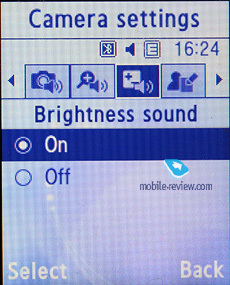 The ringtone volume is quite decent, as it can be heard in various environments. 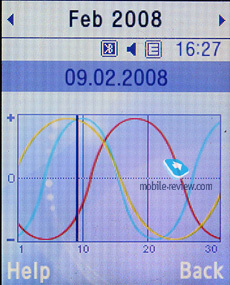 The silent alert is average strength-wise, no significant improvements have been made here. 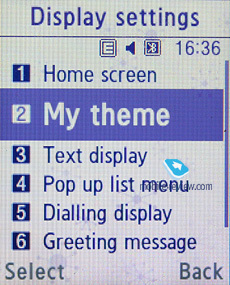 The L310 can put you off with its looks alone, being a kind of coarse and obvious kitsch, and it is all the more surprising to find a fairly decent menu with well-implemented features inside, making the handset a quite contemporary device. 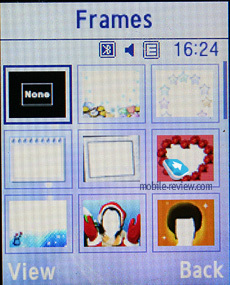 Putting it up against the Samsung L320, the L310 packs in more punch and is generally easier to use, primarily thanks to those welcome additions to the interface, animated menu navigation, Vivid Message, 3x4 menu grid, full-featured themes and profiles. 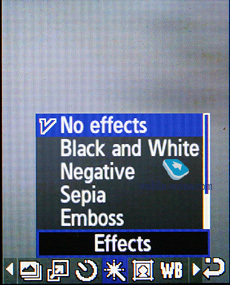 While the basics are pretty much similar on these two, at the end of the day they are worlds apart. 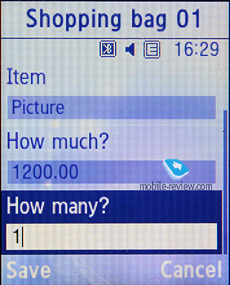 The lack of an outer display is a serious letdown, in fact I can’t remember a clamshell in this price bracket (400-450 USD) that had this detail omitted. 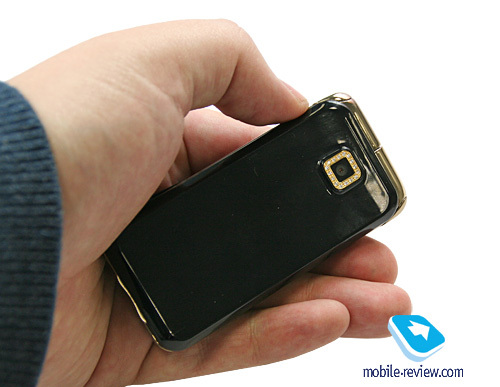 Surprisingly, with its price tag being only 50-70 USD heftier than the Samsung L320, the L310 is so much of a mixed bag, that we can’t say it will appeal to a broad audience or become sought-after. It has no direct competition, since it is so quaint and vastly overpriced. 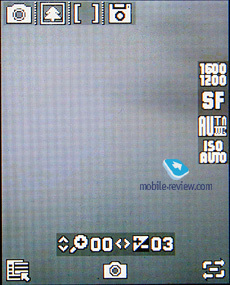 Nevertheless, it will enjoy reasonable sales for some time after its initial release, but we can’t expect them to stay on the same level throughout the L310’s entire life span.